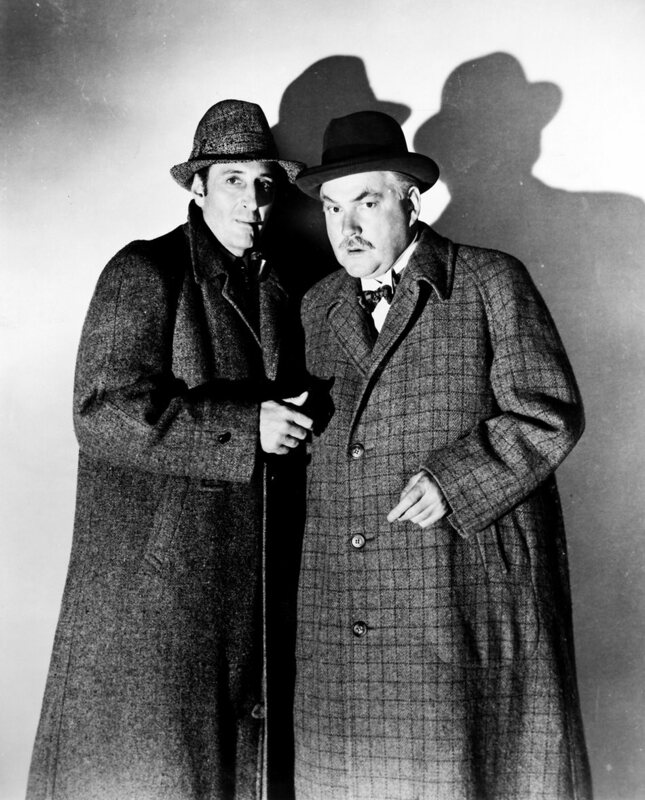 + Meet Miss Sherlock aired in 1946 and was the show of a smart girl who solves crimes a la Sherlock Holmes. This was a CBS summer sustainer that recounted the adventures of Jane Sherlock, a scatterbrained amateur detective, and her boyfriend, Peter Blossom, a civil attorney who occasionally fainted. There were two separate versions of this show; the first ran from July 3, 1946 to September 26, 1946 while the second one ran from Sept 28, 1947 to Oct 26, 1947. Both series were produced and directed by David Vaile, with scripts by E. Jack Neuman and Don Thompson. The announcer was Murray Wagner and the live orchestra was headed by Milton Charles. Sondra Gair had the title lead in the 1946 version, Captain Dingle of the NYPD was a youthful Bill Conrad and Joe Petruzzi played Peter Blossom.When the series resumed in the fall of 1947, Betty Moran did the first episode but her voice was not “dithery” enough so Monty Margetts was brought in and she played the lead until it went off the air two months later. Barney Phillips was the voice of Captain Dingle. Be the first to comment on "meet miss sherlock wilbur and the widow"